Finally back with my final installment in this series on PCOS and Intuitive Eating. If you missed the first two, part 1 explained more about what PCOS is, including symptoms, diagnosis, and why "just lose weight" is the absolute worst advice you can give someone with PCOS, and part 2 went more into depth with specific non-diet lifestyle interventions for PCOS management. 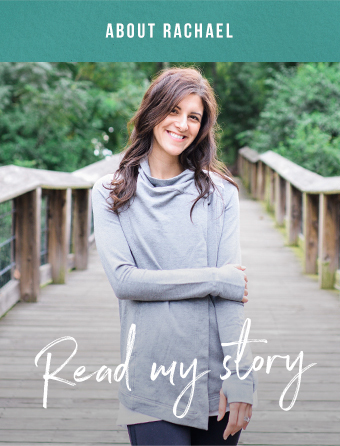 Today for part 3, I want to dive a little deeper into disordered eating and eating disorders in women with PCOS, and why I recommend intuitive eating over diets. Women with PCOS are at a higher risk of developing an eating disorder. Keep in mind, I'm not *just* talking about anorexia. Binge eating disorder, as well as disordered eating behaviors, are emotionally and physically destructive as well, and often don't get as much attention or concern from health professionals. IMO, there's two big reasons for the increased risk of EDs. One is the frequent recommendation of weight loss for PCOS. While certain lifestyle interventions, which may result in weight loss in some people (but not all! ), are appropriate, blanket recommendations of weight loss are really misguided. Women of ALL body sizes are diagnosed with PCOS, so clearly weight loss isn't the fix. Telling someone with a medical condition, especially one that packs so many layers of shame, that their health is dependent on weight loss makes it much more likely they'll engage in harmful behaviors to achieve weight loss. On top of that, there's a biological reason for the increased risk. Women with PCOS frequently have high circulating levels of insulin, a growth hormone, making it extremely difficult to lose weight. Yet diet culture sells us the idea that we can lose weight to be essentially whatever size we like, we just have to cut enough calories. Many of the women with PCOS that I work with have cut and cut and cut, to the point of malnutrition. Yet....the scale has barely budged. They're filled with shame over very normal eating habits, like having the occasional takeout pizza for dinner or eating a daily sweet or having a glass of wine with dinner, convinced that is the reason I can't lose weight. If that's you, please know, you are still allowed to eat like a normal human being if you have PCOS! Because most people (medical providers included) only get concerned about eating disorders in very thin, usually white women, there are so many early signs of disordered eating that are missed in women with PCOS, because their weight is "normal" or what the BMI scale categorizes as "overweight/obese." They're engaging with food in a harmful way, yet being congratulated because they're losing weight, further fueling the disordered eating. Binge eating disorder, or a subclinical cycle of restriction followed by overeating, is really common for women diagnosed with PCOS. Underlying insulin resistance means it's hard to get glucose into the cells, where they're used for energy. Going too long without eating, or restricting carbohydrates, means all the cells in your body will be screaming for glucose, aka sugar. You might be able to white knuckle it through for awhile, but willpower is a muscle that will wear out after awhile, and when it does, it'll be a pretty epic (and shame-inducing) binge. It's for all these reasons that Intuitive Eating is the backbone to my work with clients diagnosed with PCOS. I mean, IE is basically the backbone to my work with everyone, but it's especially important with PCOS. With a medical condition, there's a tendency to go to a medical diet. (Side note: this is different from a weight loss diet, where the goal focus is on weight loss. The goal of a medial diet is treating a medical condition. Think gluten free for celiac disease. Where it can get a bit confusing, is that medical diets can be the same as a weight loss diet, i.e. going gluten free for weight loss, or someone can do with one mixed motivations). There are some medical diets or approaches that might be beneficial for some people - nothing has been proven for PCOS, and what works for one person might not work for everyone. But it's important to heal your relationship with food first, otherwise it's likely to backfire. Weight focused goals for PCOS management do more harm than good. Depriving your body of calories means depriving it of important vitamins, minerals and antioxidants that can help manage the underlying inflammation in PCOS. Under-eating simply fuels overeating. If you're looking to work with someone 1-on-1, contact me to schedule a free 15 minute consultation to see if we'd be a good fit to work together. Let's focus first on non-diet interventions to help manage PCOS, and building a healthier relationship with food. And from there, if there's approaches you want to experiment, we can work on that together and I'm happy to provide information, guidance, and support! If you've enjoyed these posts and would like more information about PCOS and Intuitive Eating, I love these two podcasts: Nutrition Matters Podcast on PCOS and Love, Food Podcast (multiple episodes that are focused on PCOS).